What do you need most to weather a Calgary winter? 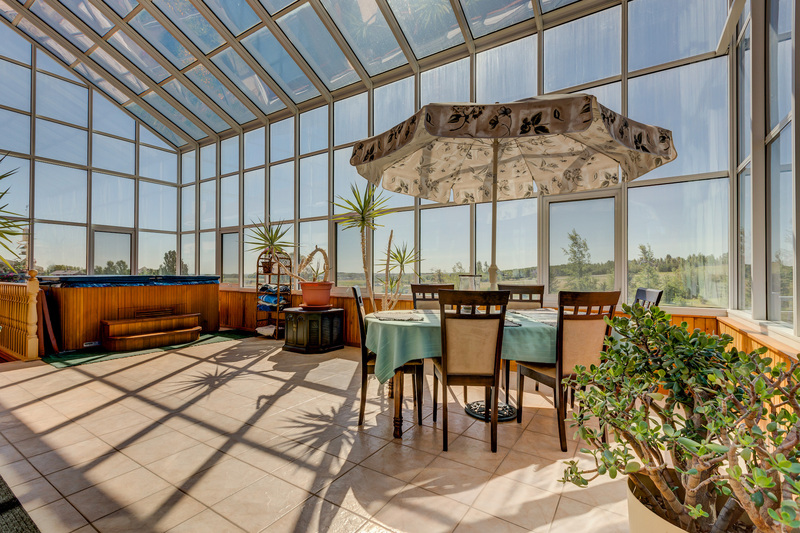 How about an all-season solarium? 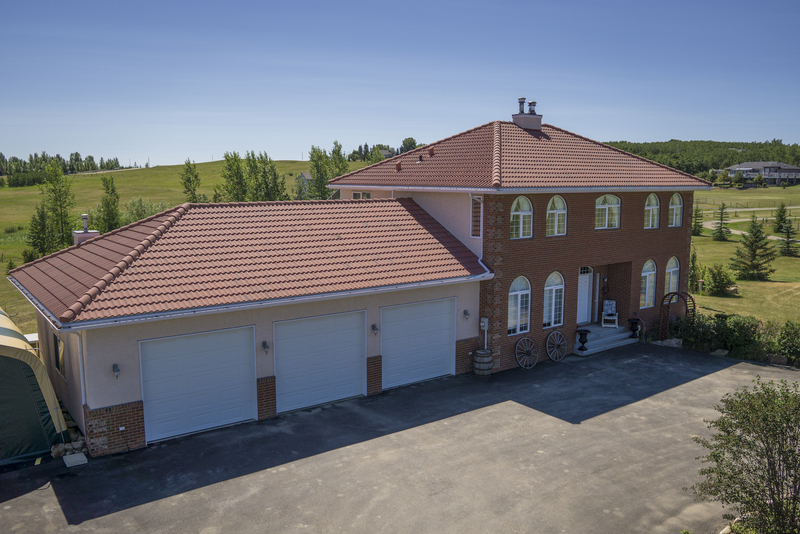 This custom home was designed by the French owner and built by Country Rose Homes with over 4200 sq ft of living space on 4.23 acres of park-like grounds. The estate is located less than 10 minutes from Calgary. 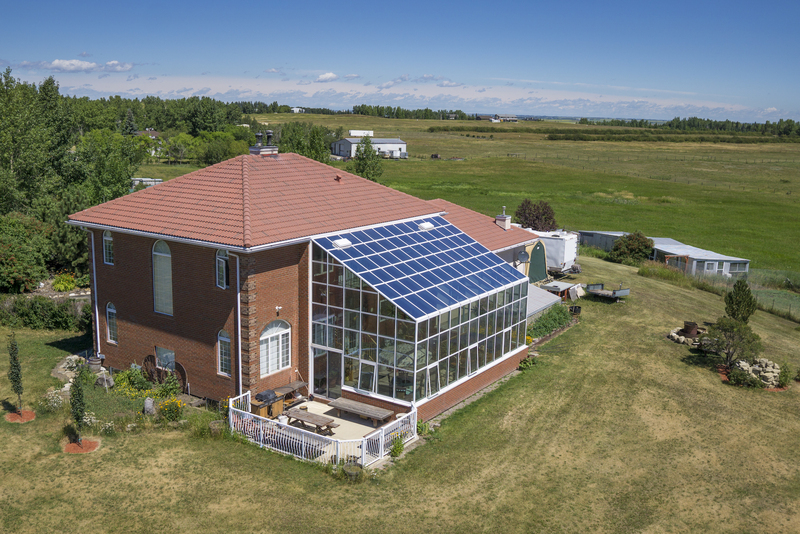 The home has an all-season (heated) Solarium, triple garage & buildings for the hobby farm enthusiast. 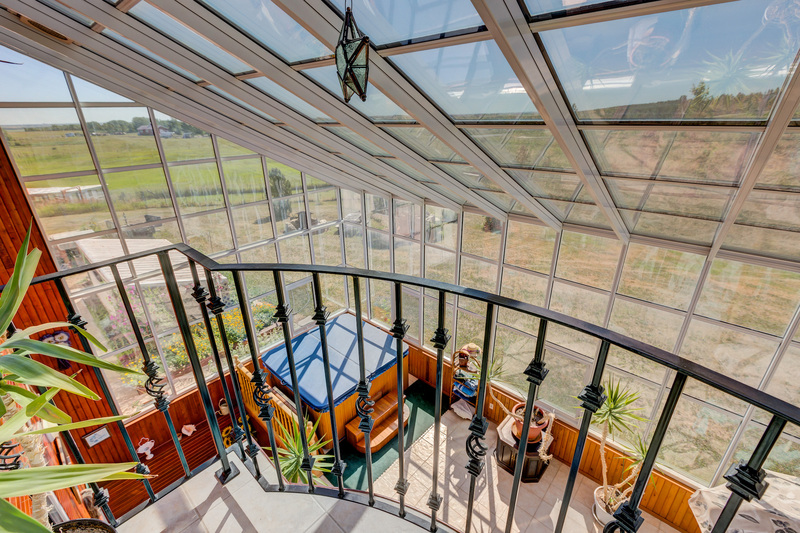 The solarium has a hot tub and with extractor fans in the roof, even on hot days the solarium can be kept cool. With in floor and forced air heating the solarium’s temperature can be kept to a comfortable degree, all controlled by a thermostat. The main floor real wood, double, glass fronted fireplace generates enough heat to heat the whole of the main floor. Upstairs are four good sized bedrooms and the owner’s suite has a huge bedroom with french doors opening up to a Romeo and Juliet balcony. The basement is fully finished and walks up to the solarium and hot tub for convenience. This home is listed for Canadian $1,400,000 ($1.125 million US) with CIR Realty and is showcased by Luxury Portfolio.